I was honored to write a guest post for Abbie at Greening Sam and Avery while she enjoys the sun and surf on vacation! Please stop by her site to see the post and learn about the absolute necessities (in my opinion, anyway!) 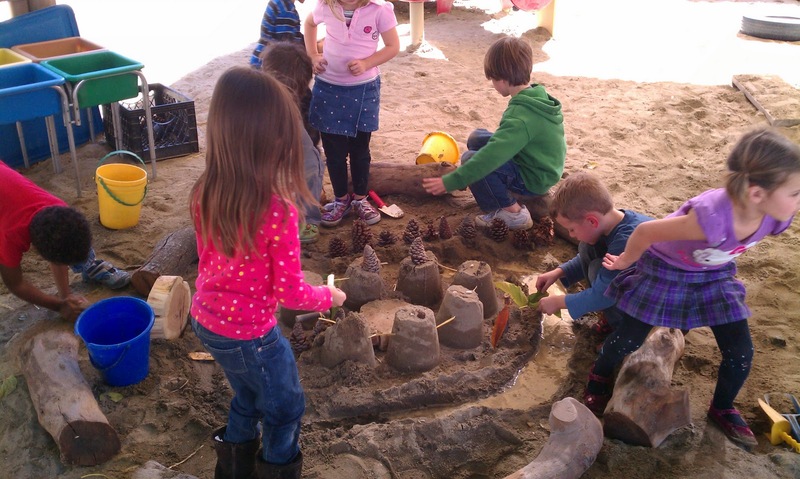 in making your Outdoor Classroom a magical place for the children to play and learn. Adding a water source to your sand area offers stability to the sand AND encourages creativity and scientific discovery! Loving the guest post today! I keep a linky open for outdoor classroom inspiration. I have been doing a wide range of trainings on the topic! If you haven't seen it, you can find it here: http://www.childcentralstation.com/p/outdoor-classroom-inspiration.html I haven't had an opportunity to get in and check out the newer link ups or to recategorize all of them yet! thank you kristin for taking the time for this post. it's excellent. i was ironically just a few hours ago googling for ideas about what to put in our yard. the kids are asking for more ways to use the loose parts we have (those planks are balanced higher and higher onto other surfaces and i'm getting nervous!) so i want to get some more things to explore. i have a shopping list for the home supply store (or freecycle, lol) thank you! Thanks for the lovely comments! It is always encouraging to hear that my posts have inspired others! Amy - I will definitely stop by your link-up! Beansprouts - I wrote an entire post on loose parts, so you may want to check that one out for some fun photos ;-).